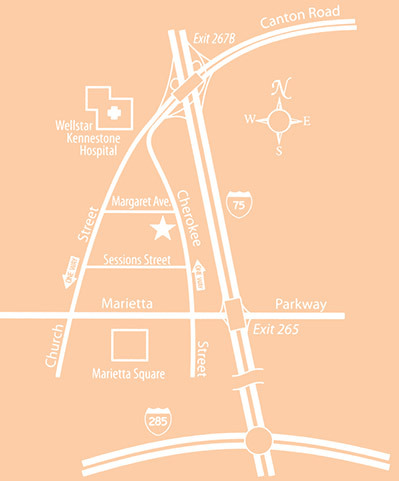 Take exit 267-B (Marietta). Merge into the far left lane. Continue through the medical district. Turn left on Margaret Avenue. We will be on your left at the intersection of Margaret and Cherokee Street. Take Cherokee Street heading north. Turn left on Margaret Avenue. We will be on your left at the intersection of Margaret and Cherokee Street. 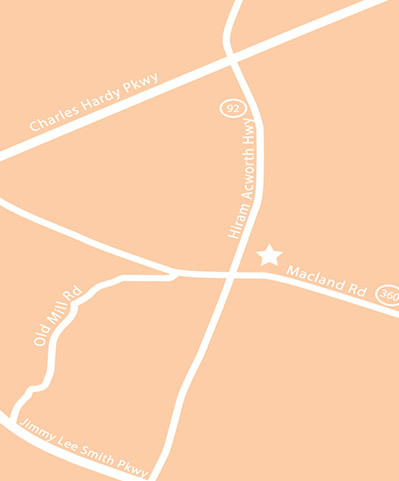 Located in Macland Place shopping center at the intersection of Macland Road (Hwy 360) and Hiram Acworth Road (Hwy 92).